I am a huge fan of pop culture and it is obvious by looking at designer Jeremy Scott's past few collections for Moschino that he is too! 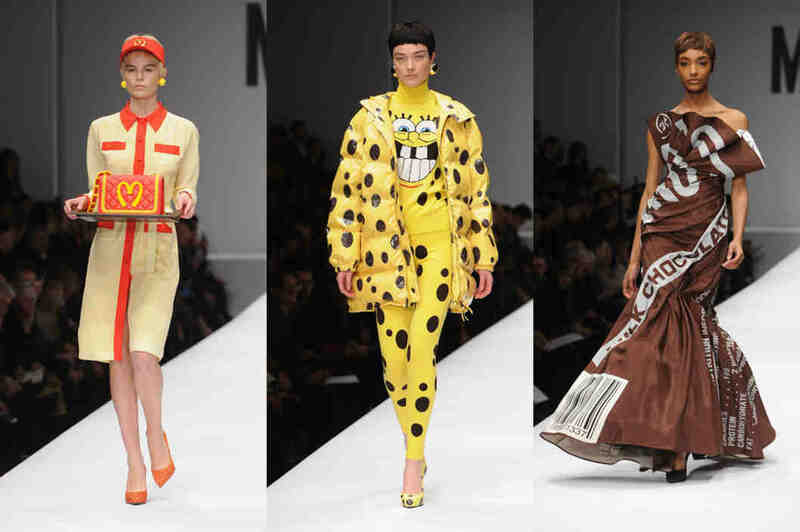 From collections that are inspired by Barbie to McDonald's, Scott takes our obsessions and turns them in to wearable art. Scott makes stunning clothes with inspiration from pop culture as seen in his Fall 2014 ready to wear collection. Not only are Scott's clothes inspired by pop culture, but the princesses of pop also flock to him to for his amazing creations. Pop stars like Rihanna, Katy Perry, Miley Cyrus and Rita Ora (all featured in the documentary) love show up on countless red carpets in his designs and they keep coming back for more! I first started becoming a huge fan of Jeremy Scott when he did his Adidas collection in 2008. The now iconic winged sneakers were insane and I also loved when he did the teddy bear shoes and the cowboy boot sneakers. I am so excited for this documentary and to get to see Jeremy in a closer and more intimate light. I am fascinated by uber creative people and I love being able to get a glimpse inside their brilliant mind. The documentary is being produced Matt Kapp who also produced 'Valentino The Last Emperor 'so you know that it will be extra fab! Fashion documentaries seem to be coming out left and right these days and I am all about it! I had the chance to see both 'Dior and I' and 'Iris' and I would highly recommend them! They were both super inspiring, especially Iris who I am conceded is my spirit animal! 'Jeremy Scott: The People's Designer hits theaters September 18th but until then you can watch the newly release official trailer below over and over again below!